As we countdown the days to 2017, our twentieth year, we take a moment to relish our accomplishments and great memories from 2016. In March we began to transition our identity from a Youth and Family Theatre to a Center Community Arts. Building characters for life became our mantra while putting growth center stage was identified as the inspiration behind our capital campaign. As a Center for Community Arts, a new Innovative Programming Committee was formed and wasted no time sponsoring DreamWrights’ first Open Mic Night. Budding comedians, talented musicians, and a friendly faced magician graced the stage of our relaxed and casual space. We had so much fun we are planning to do it again soon! This year, DreamWrights offered a wider array of art and performance based camps as well as a few new events. Our first ever DreamFrights Haunted House was a huge success! With different fright levels, we were able to entertain young ones up through older kids and adults who enjoy the thrill of the scare. We hosted a tea parties during the runs of The Secret Garden and The Adventures of Peter Rabbit and we had cookies, cocoa, and caroling with Santa, Dorothy, and the Wizard in Oz earlier this month. Flippin' Broadway, a cabaret of Broadway show tunes with a fun twist, was a crowd pleaser in February. As for summer camps, this year we offered 24 different exciting and creative camps. 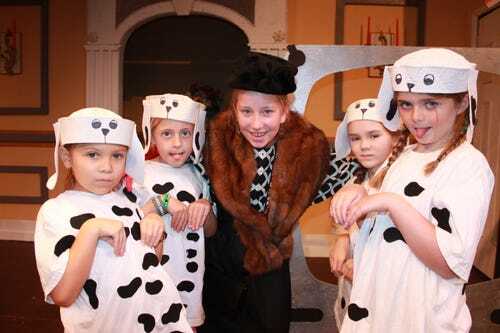 These included three Disney performance camps, 101 Dalmatians, Cinderella, and Aladdin. We also held art camps taught by local artists Rita Whitney and Karen Paust, a digital photography camp taught by Randy Flaum of White Rose Community TV, and a poetry class taught by York's poet laureate, Christine Lincoln. We are planning equally innovative, clever, and exciting camps and classes again this coming summer. Spread the word and tell your friends! This year, DreamWrights raised the bar with our set design by employing the talents of some amazing designers and builders. Fifteen year old first time set designer, Jacob Schlenker, gave a beautiful and sassy makeover to the set of Legally Blonde. 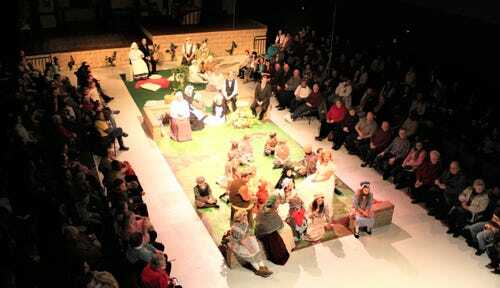 The first ever DreamWrights raked (sloped) stage was designed by Billy Ferrell for The Adventures of Peter Rabbit. Allen Brenner brought us a beautiful two story set staged in alley configuration with the audience on two sides for The Secret Garden. Most recently, the illustrious Ray Olewiler designed a magical set that was over the rainbow. This year, DreamWrights benefited from the expertise of five guest directors: Andrea Unger (Our Miss Brooks and The Adventures of Peter Rabbit), Nic Ecker (Legally Blonde), Michelle Denise Norton (As You Like It), The Beverly Hillbillies (Kirk Wisler), and Jaci Keagy (The Wizard of Oz). In anticipation of the upcoming season, where we will be using six guest directors and three guest assistant directors, a formalized guest director process was introduced. The first introduction and kickoff meeting for guest directors was held in early December. Please join us in welcoming Guest Directors Rodd Robertson (directing Pride and Prejudice), Andrea Unger (Peter Pan and Mary), Michelle Denise Norton (The Taming of the Shrew), Timothy Storey (The Mousetrap), Chris Quigley (Disney's Beauty and the Beast), and Jaci Keagy (It's a Wonderful Life) as well as Guest Assistant Directors Amanda Nowell, Kevin Alvarnaz, and Andrea Unger. We hope that our improved processes for these guest directors will make for an even better experience for our crews, casts, and audiences! On June 30, to kick off the public phase of our capital campaign, we threw open wide our doors and invited the local community to meet our refreshed Center for Community Arts. Nearly 200 friendly faces joined us in the celebration. This exciting event featured performers and artists that included: YWCA's Temple Guard Drill Team, Devix, Kingsfoil, Weary Arts Group, First Capital Drumline, Illstyle & Peace presented by Positive Energy Arts Foundation, and DreamWrights’ own Theatre Under the Trees and StAGEs troupes. This year we honored the career of founding member, Diane Crews, and we welcomed Hilary Adams, our new Director of Artistic Programming. Diane’s DreamWrights career was memorialized in the naming of our black box theatre. 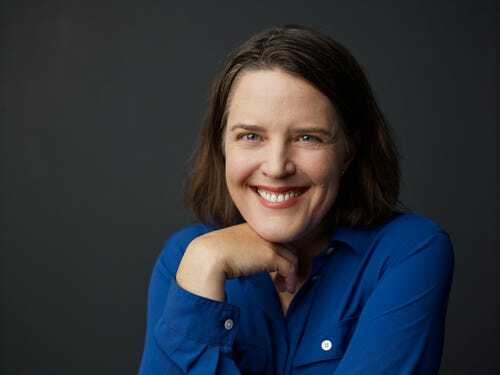 Hilary has hit the ground running as she is currently finalizing the crews and casts of her first DreamWrights production, Babe, the Sheep-Pig. 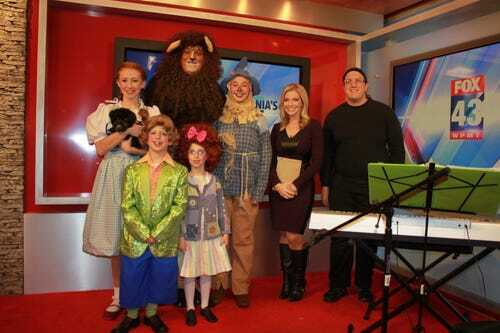 We ended the year with a bang as we enjoyed our 4 minutes of fame on Fox 43's morning show on December 1. 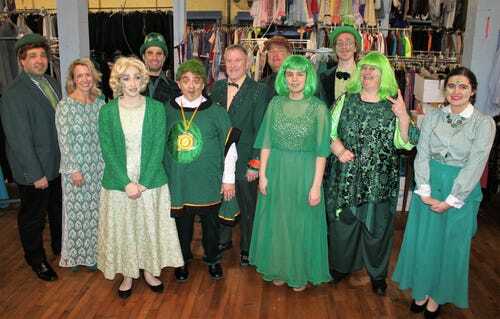 It was a great way to kick off our run of The Wizard of Oz as nearly every show was sold out. Our hearts, minds, and confidence was renewed as we remember that there’s no place like home – or your second home – as many of you call this place known as DreamWrights. What began as a dream took a foothold in reality this year with the funds we have raised towards our capital campaign. 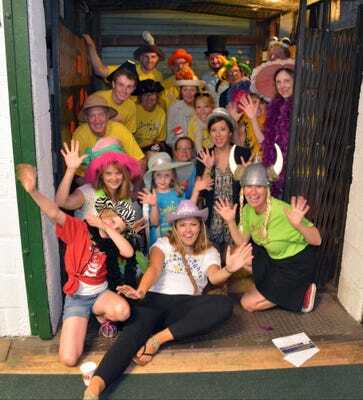 We brought our message to the broader community through fundraising events like Hats at the Hound. Although we have not met our goal of $2.5 million dollars, we are standing strong at $1.8 million with phased construction plans and approvals from the appropriate local municipalities to begin moving forward with our construction this spring. We are excited for the opportunities the future holds with the new studio space, upgraded building enhancements, and expanded programming. We have received some amazing support from businesses and individuals alike. We thank you for your support. If you have not done so already, we graciously ask you to consider helping us get closer to our goal. Your involvement is what makes DreamWrights the amazing community it is. People of all ages, from all backgrounds and experiences are welcome to safely explore the arts, try new things, and be part of something bigger than themselves. DreamWrights builds characters for life. We look forward to working together with you again in the coming year to create our best, brightest, and biggest year yet! Happy New Year from DreamWrights!